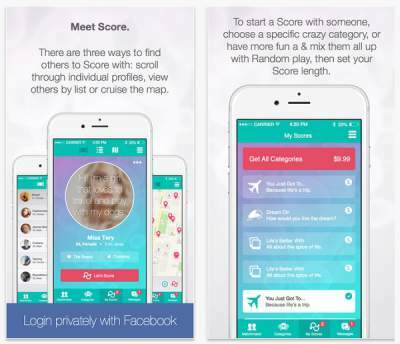 The Score Dating App is a personality based online dating app. 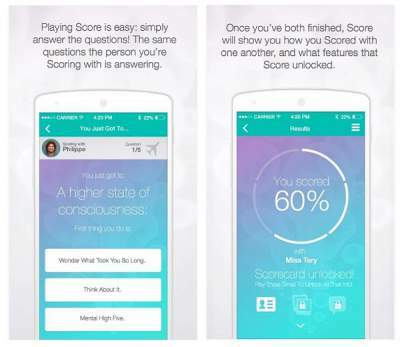 When you download and install the Score App to your Android or iPhone you will need to fill out a personality questionnaire. This will match you with other singles who are using the dating app. Our review of the Score Dating App explains why singles who are looking to find love, to get into a relationship, or to date online should download the free app to their mobile or tablet. Basing their main online dating features on personality questions the Score Dating App offers a beautiful design and simple navigation which looks great on all mobile phones be it Android or iPhone. Unlike other singles dating apps this one offers true matchmaking for local singles according to their personality. Only when other members match your own outlook on life will the dating app reveal your profile pics and open up the chat feature. The matchmaking system available on the Score App connects singles in a much safer and more reliable way through their mobile or tablet; making dating become much more compatible. For each match you make your profile score gets higher. the higher your score the more users of the dating app get to view your profile. A high score history makes you highlighted on the application and much more noticeable to other members. It’s all about how compatible your personality is with others. Don’t like Score? Then we invite you to take a look at other recommended dating apps for Android and iPhone which we reviewed (and which you can download from right here). When it comes to a Score Mobile site we just couldn’t find one. As a matter of fact, we couldn’t access the Scorematchmaker.com dating site at all. 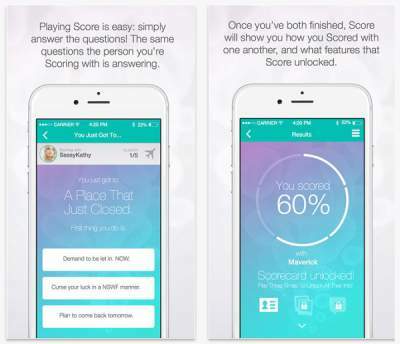 While it’s a shame that Score doesn’t have a mobile dating site to offer its users, it still offers the Score Dating App which can be found on Google Play and iTunes’ App Store. Uploading pictures to your profile. Answering entertaining & engaging queries to make your profile match with others. 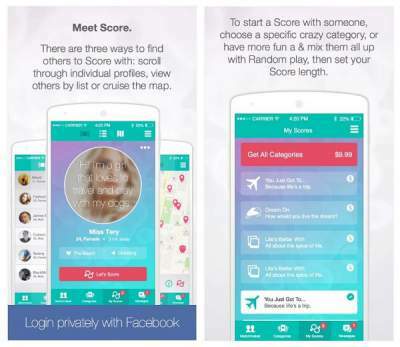 Owners of Android or iPhone the Score Dating App is right for you if you cherish your personality. It is a dating app suitable for singles who want to date online through their mobile and meet with a matching persona. The Score App is free to use and has a big singles dating community. The app is fun to use, and is safe. For your next singles dating app we recommend you try the Score Dating App on your Android or iPhone. Publisher: Apptigo, Inc. © 2014 Apptigo, Inc.
Are there APK versions of the Score App for Android ? Yes there are, but we do not recommend downloading them. The latest version APK is best when received from Google Play alone. Will the Score Dating App work on Android 7? Yes, we did not see a problem with the app working on Nougat. Can I use the Score iOS app to contact Android members?